Why You Need to Seek TMJ Treatment in Gramercy Park Today! November is National TMJ Awareness Month – a time when dentists around the country are working to bring attention to a condition that is often overlooked but can cause serious problems for the jaw and other parts of the body. 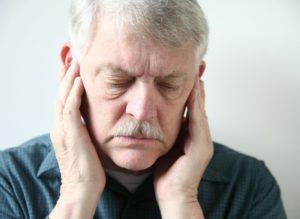 As you read on, you’ll learn what the TMJ is, what causes its dysfunction and the importance of TMJ treatment in Gramercy Park. The TMJ (temporomandibular joint) is the hinge-point that allows for the opening and closing of your jaw. Additionally, this dynamic complex moves the jaw from side-to-side, forward-and-back and in an elliptical motion. Because it can move through so many planes of motion and is used so often, the cartilage that supports the joint can become inflamed, misaligned or it can erode. The name for this condition is TMJ disorder, and over 10 million people suffer from it. If you notice any of these signs, your dentist says don’t ignore it. Failure to seek treatment could lead to more acute symptoms and even depression. Thankfully, your dentist has several ways of addressing TMJ disorder so you can once again have a normally functioning jaw. The specialist can perform a bite adjustment (equilibration), provide orthodontic treatment or perform jaw reconstruction. One of the primary goals of National TMJ Treatment Awareness Month is to bring to people’s attention the symptoms of TMJ disorder, to reveal what the causes are and to encourage the proactive approach of seeking treatment. The next step is to contact your dentist in Gramercy Park to receive the care you need. By implementing the above guidelines and working with a trained professional, you can soon enjoy the full function and comfortable feel of a well-working jaw. Dr. Ira Newman earned his dental degree from Emory University School of Dentistry. An avid learner, he has additionally received advanced training from the Dawson Center for Advanced Dentistry and the Spear Center for Clinical Excellence. Along with providing private care to his patients, Dr. Newman is also the co-director of the TMJ/Facial Pain clinic at Northwell Hospital/Manhasset. He helps patients heal their jaws with TMJ treatment at Gramercy Park dental, and he can be reached for more information through his website. Comments Off on Why You Need to Seek TMJ Treatment in Gramercy Park Today!